Hinduism | QuantumPhoenix.net – Esoterica, Paganism & Ritual Magic. 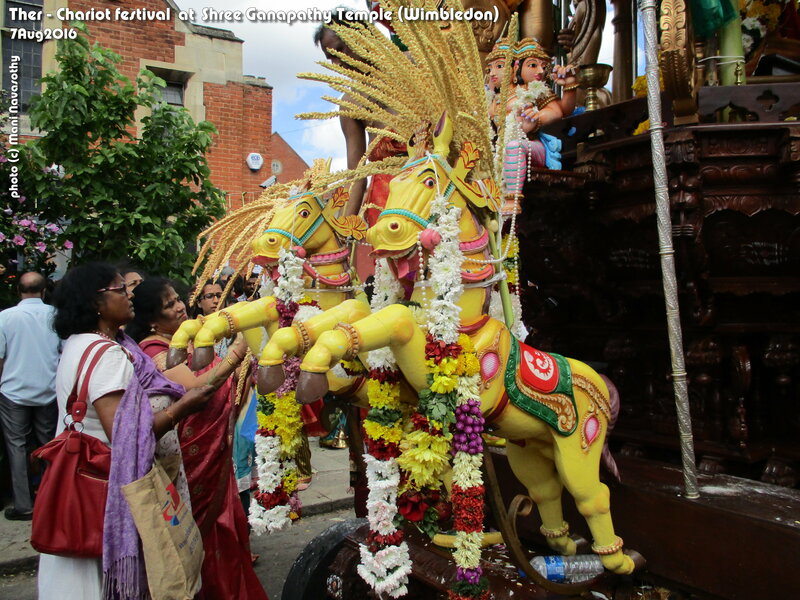 A year ago I decided and made an offering to do this `Kavadi dance’ at this year’s Chariot street procession at the Ealing Durga Goddess temple in London. That divine offering / prayer was fulfilled on 13/8/17. 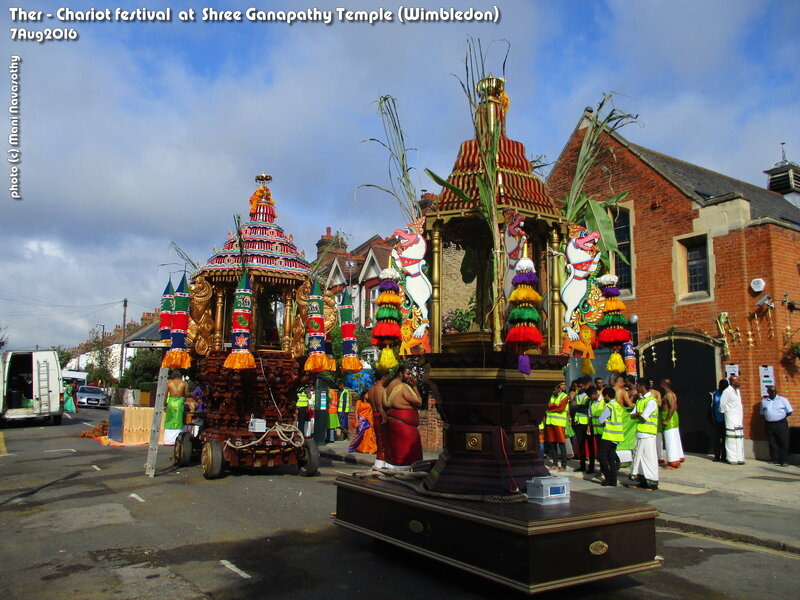 The day started with a 5am wake up in my tent… and we got to Ealing temple for the big annual chariot festival by 7.30am. 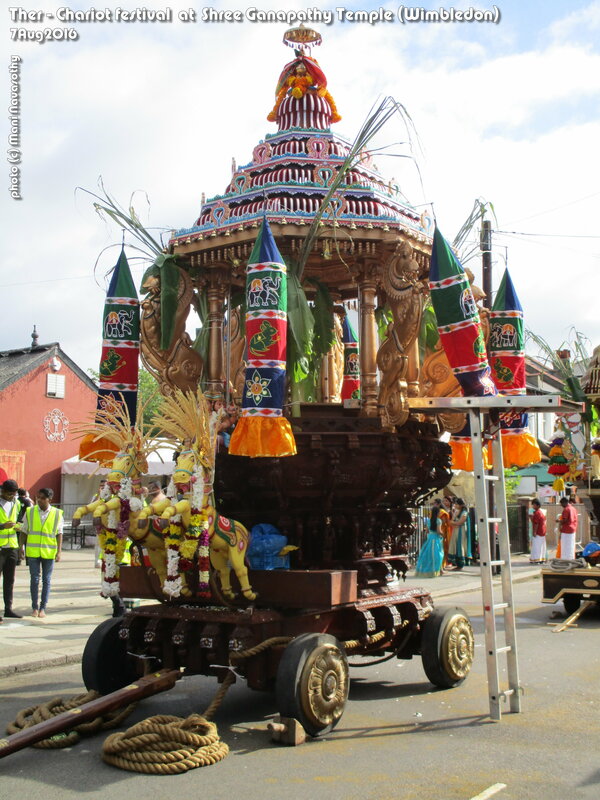 The Kavadi procession (dancing with this ritual `mountain’ prop) began around 10am and we returned to the temple after street procession and dancing throughout ..by 4-5pm (culminating with a final dance inside temple). Personal history: long ago when i was little..I did this with a tiny version of it around a local temple (Sanathy Murugan temple, near Jaffna, Sri Lanka) .. which started my ritual dancing and drumming..which has evolved into my shamanic trance drumming & dancing.. So it’s apt that I’ve come full circle. 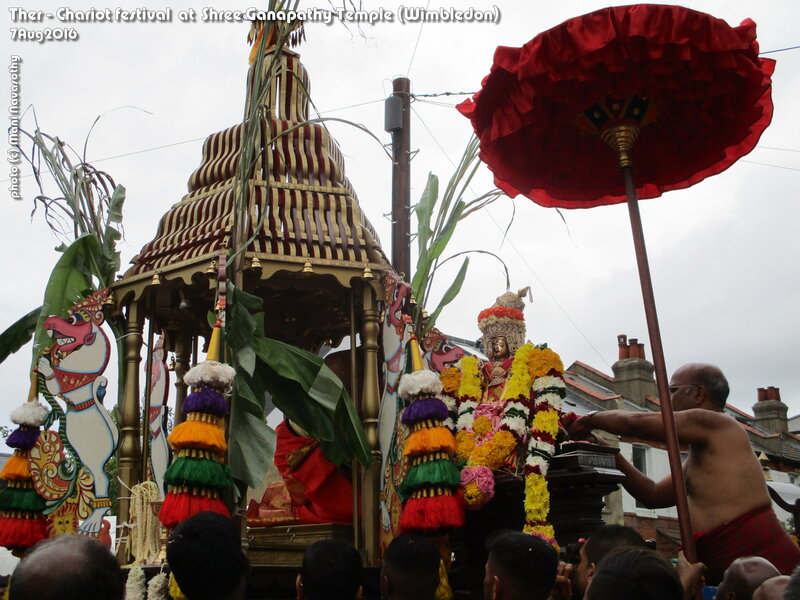 It’s been a divine privilege..
Next year I will be constructing my own `Kavadi’ ..and hope to do this in 2 different temples (Wimbledon Ganapathy temple, and Ealing Durga Temple again). 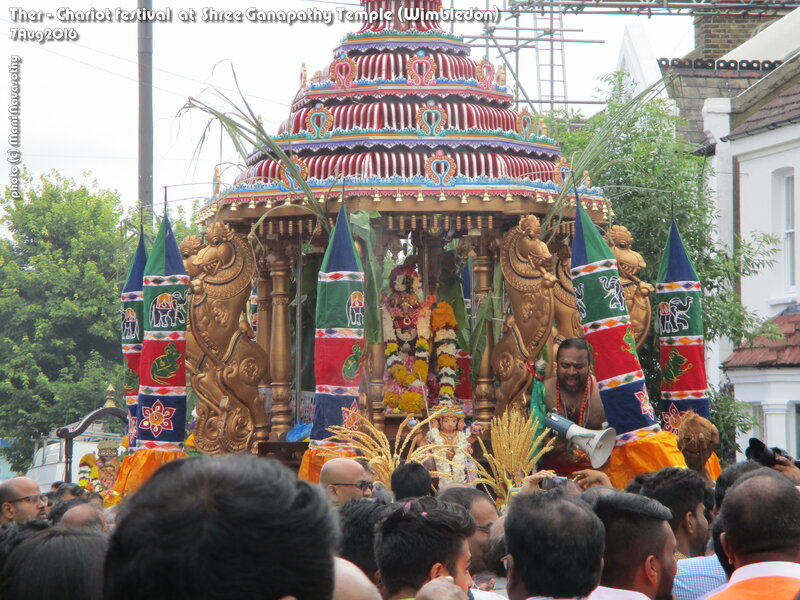 Many thanks to my mother Rani Navasothy for accompanying me, providing me with water etc during this 6+ hours of procession and keeping me `safe’ as I completed my promise.. (and in and out of mild dance-trance). 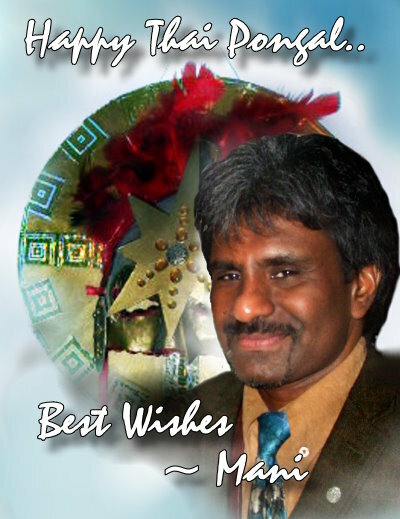 Am also grateful to Varathan Uncle for bringing the Kavadi and helping me with initial set-up & preparations. 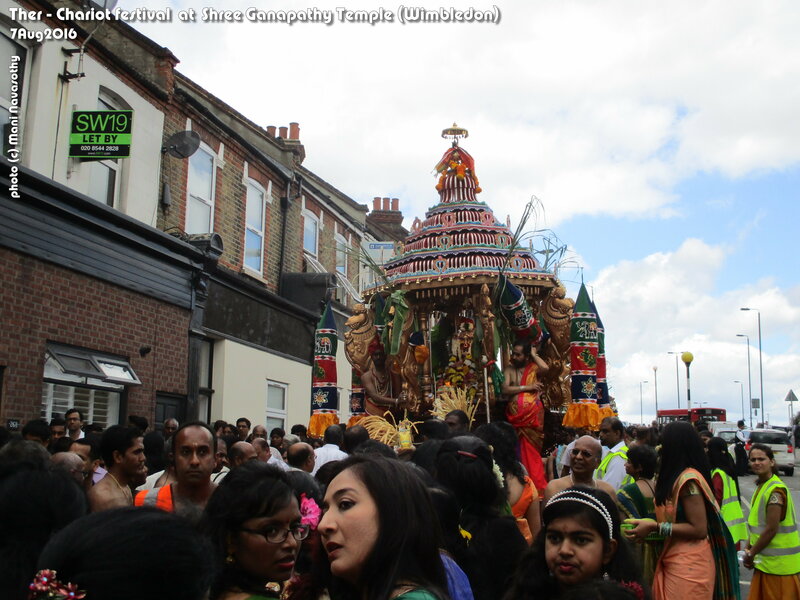 It was amazing, spiritual and absolutely festive as ever. 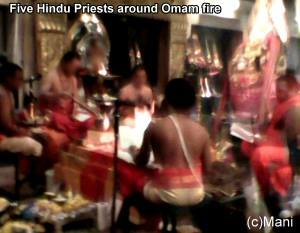 This time around I was able to focus more on the different aspects (forever studying and decoding the intricate ritual aspects and their meanings.. much of it is not usually taught in schools..except to Brahmins who are training to be Hindu Priests). So here are the tons of photos. You can see full explanations under each photo in my facebook album.. (it’s my intention to preserve the meanings, and share that with those interested). 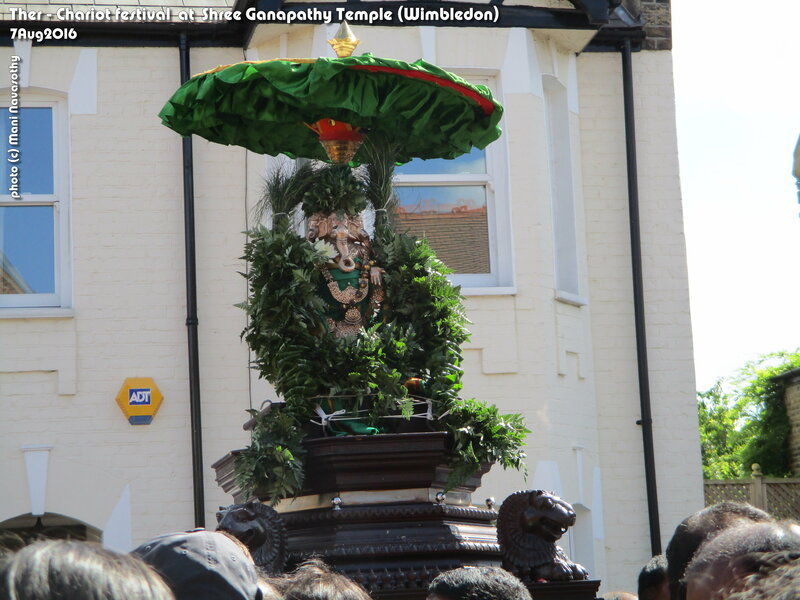 there are many who honour and worship the Hindu Elephant-headed God Ganapathy (Ganesh). He is a remover of obstacles! 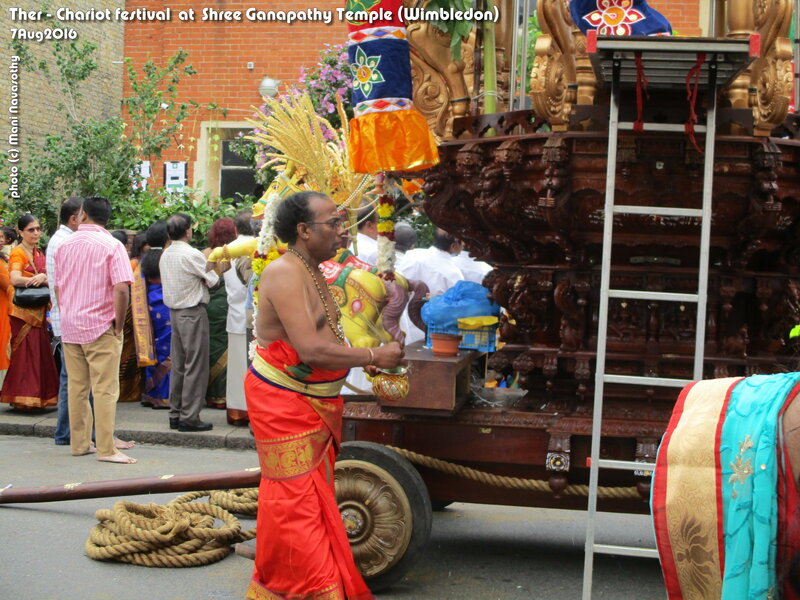 In London, this time of the year, the Ganapathy temple conducts their annual festival..which culminates after many weeks of celebrations and special poojas, with the Chariot Festival (Ther). 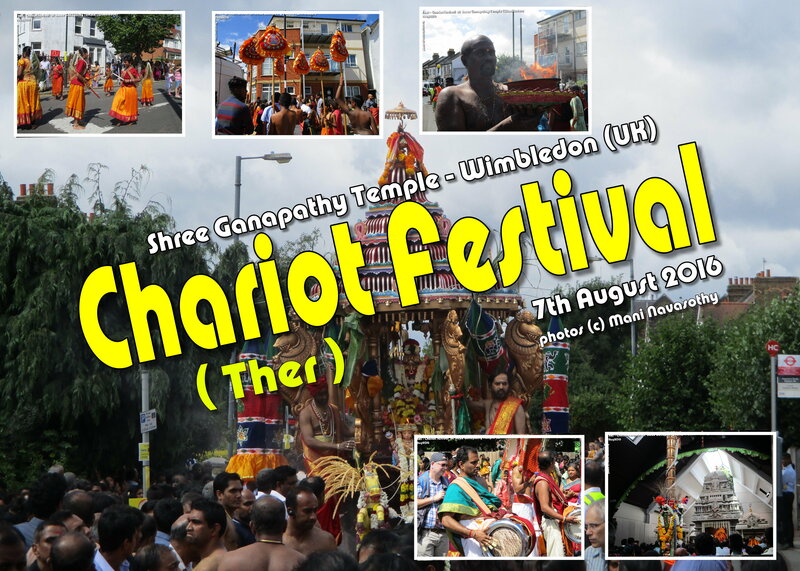 I will be attending this, and walking with the deities with the large chariots ..along the side roads.. to gain full divine blessings of Lord Ganapathy. You are most welcome to do so.. (even if it is only for part of the journey). Buses will be diverted in that area.. Please check TFL website for updates. 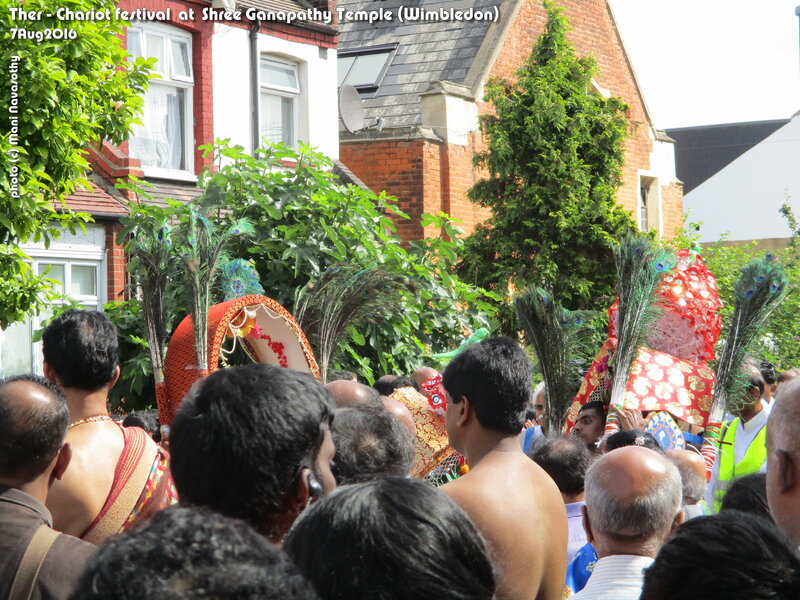 Nearest Tube: Wimbledon (District line)..Then bus 200 goes closer to Effra Road. `Colliers wood’ and `south Wimbledon’ are also nearby tube stations (Northern line) ..from which you will need to either walk 30 mins..or take buses to get to Effra Road. 125-133 Effra Road, Wimbledon, London SW19 8PU. 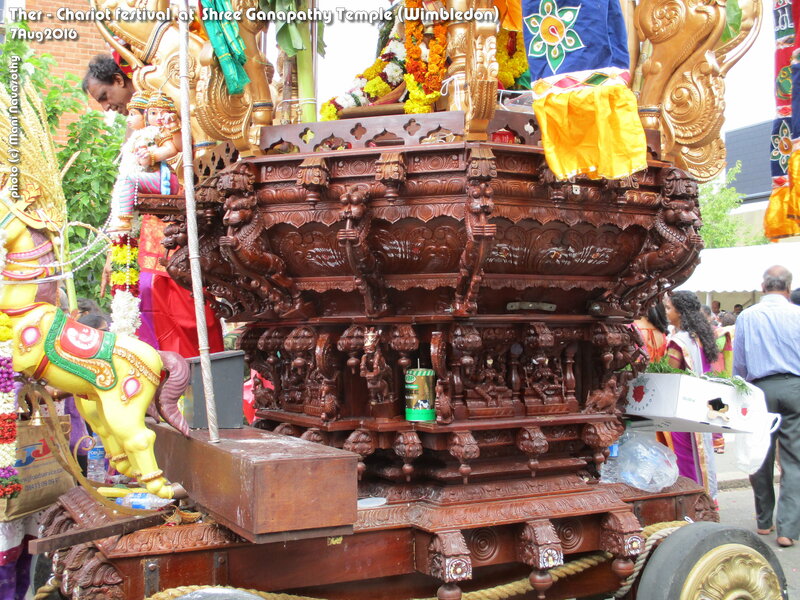 The Chariot Festival will begin at 8.30am in the morning,.and conclude around 1pm…Then deities will be taken inside temple..fore more prayers / poojas..
(I aim to be at the temple by 8am. 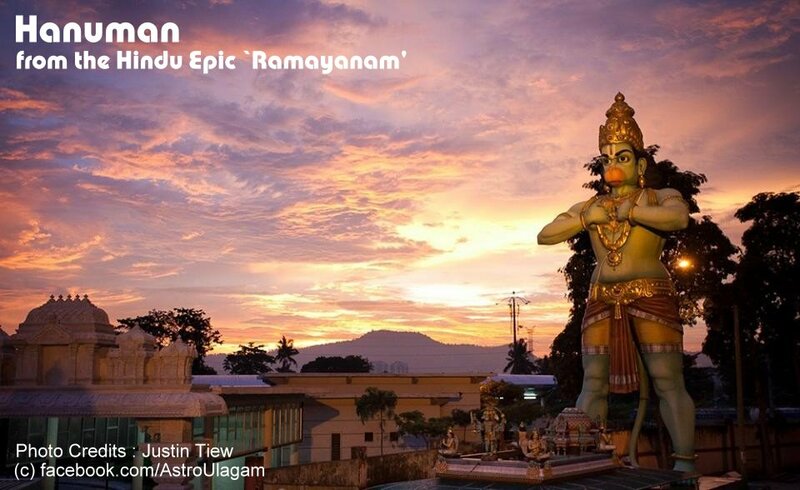 On this occasion, I will NOT be waiting to collect / organise anyone…as following early morning shower/ purification and meditations, I will be observing silence and get to the temple asap..to begin worship). There has been a little gap. 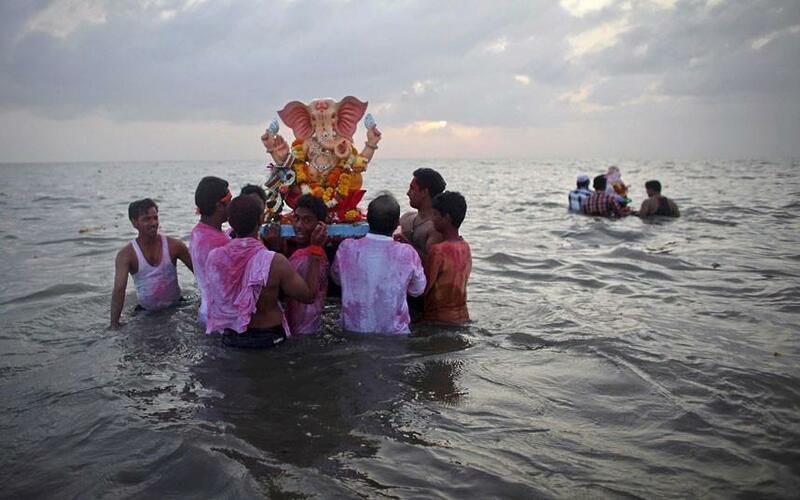 With this Ganapathy festival, I will be re-starting a full set of Hindu Magic rituals. 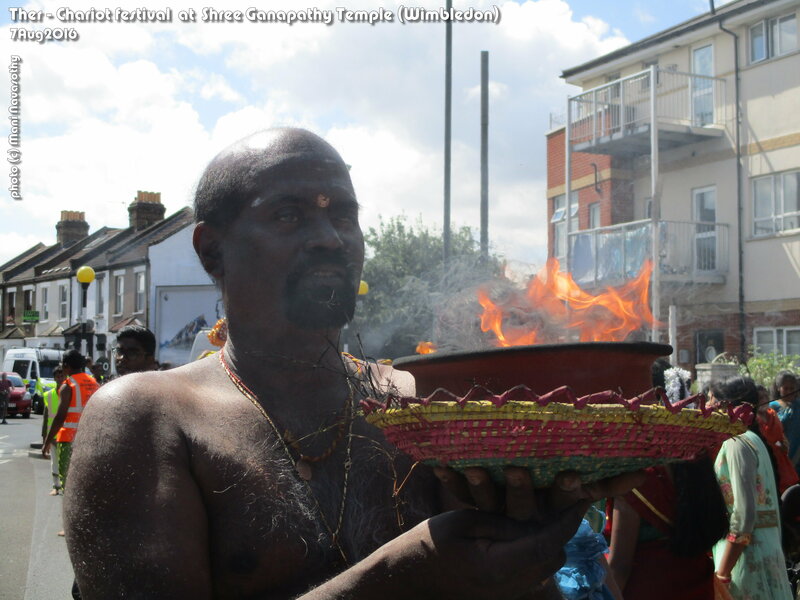 I will of course be sharing these events also in my other meetup `London Woodland Witches & outdoor Pagans’ . At Play. 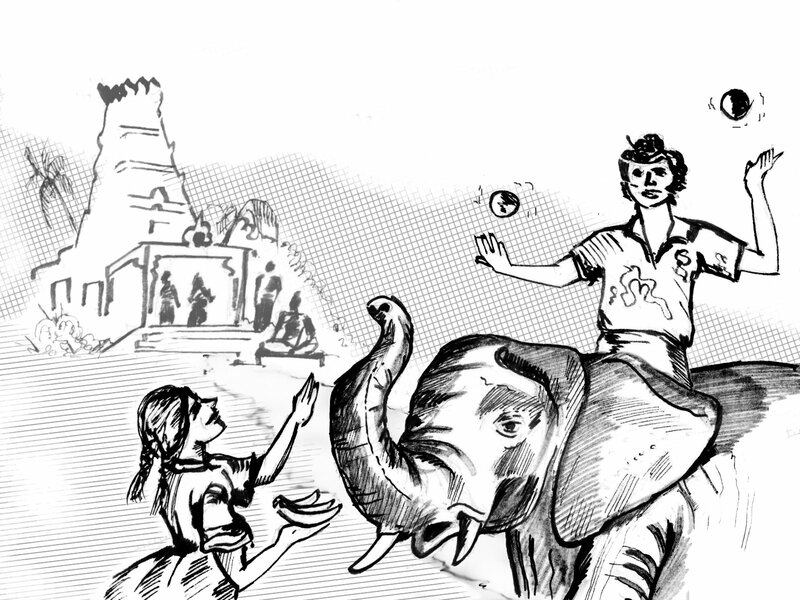 Scene from `Elephantom Origins’ (children’s book) (c) Mani Navasothy. 2012. After writing my blog this morning on the birthday & mythology of the Hindu (elephant headed) God Ganesh, I went to attend a training course – on interview techniques. Nothing I don’t know already (must write about that!) but this is one I had to attend. It was in Wimbledon. 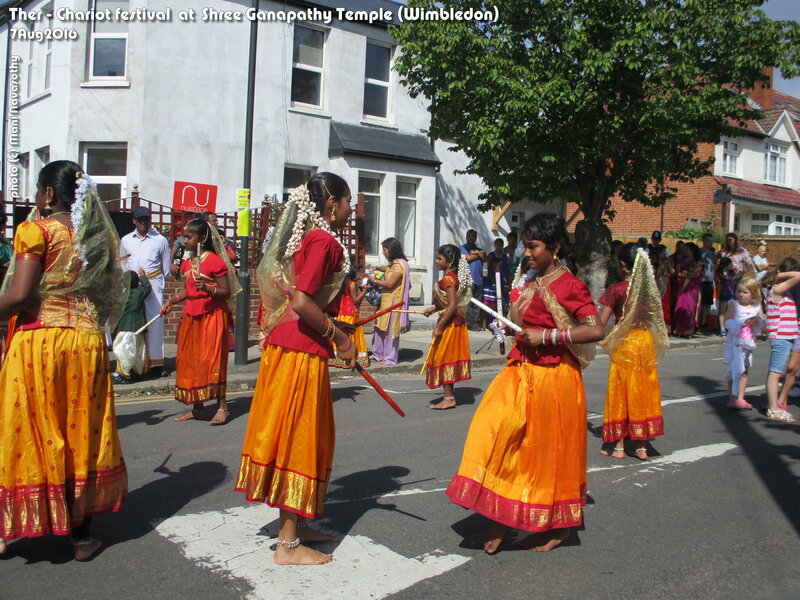 So afterwards I tried going to the Ganesh temple. 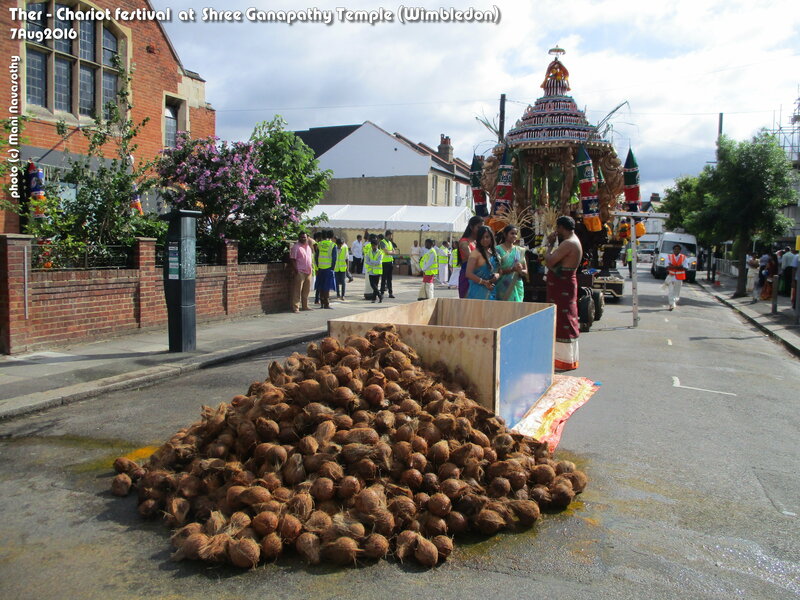 It was packed, and no parking space anywhere! 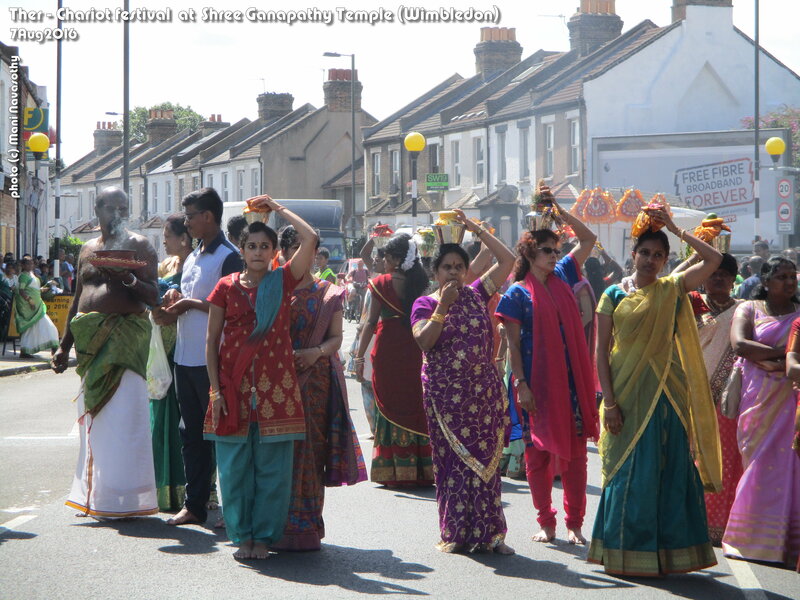 Back to Elephants – one of the sacred animals in Hinduism – an eastern pagan religion. My earliest memory of Elephants, like for most people, was at a Zoo, and it was back in Sri Lanka. I do recall one occasion where my parents paid for me to go for a ride on a Zoo Elephant. They are big creatures, and once you mount them, on one of those people-carrier basket things that can hold about 5-6 people at a time, it’s incredible – especially when the Elephant starts walking – away from any tall stands. It gentle wobbles of course and walks slowly. I don’t remember much more, but that is a precious experience to have had. These days people who visit 3rd world countries and nature reserves (africa?) can quite easily have one of these elephant rides. If you get a chance, do have a go. I mean, how often can one say he or she had a ride on the largest mammal on the planet? ! 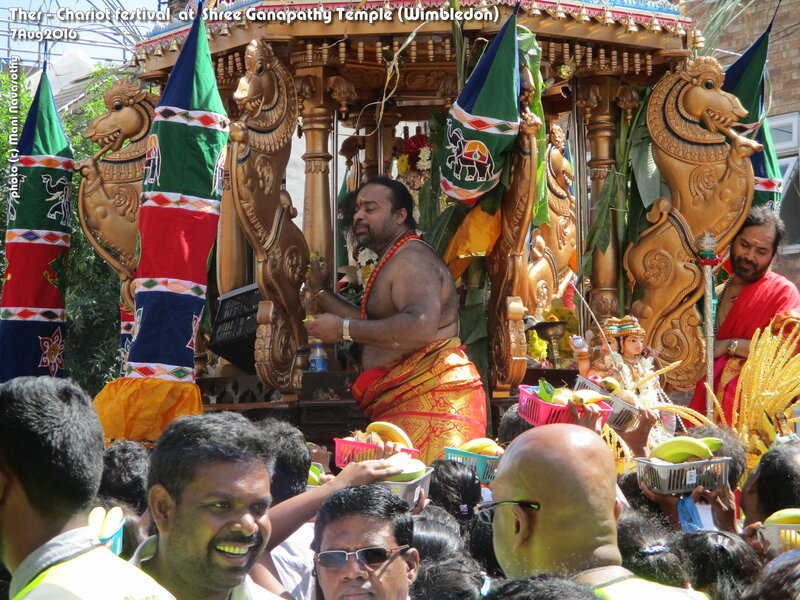 My second Elephant experience was at a Temple – and it was with a Temple Elephant, back in Sri Lanka. 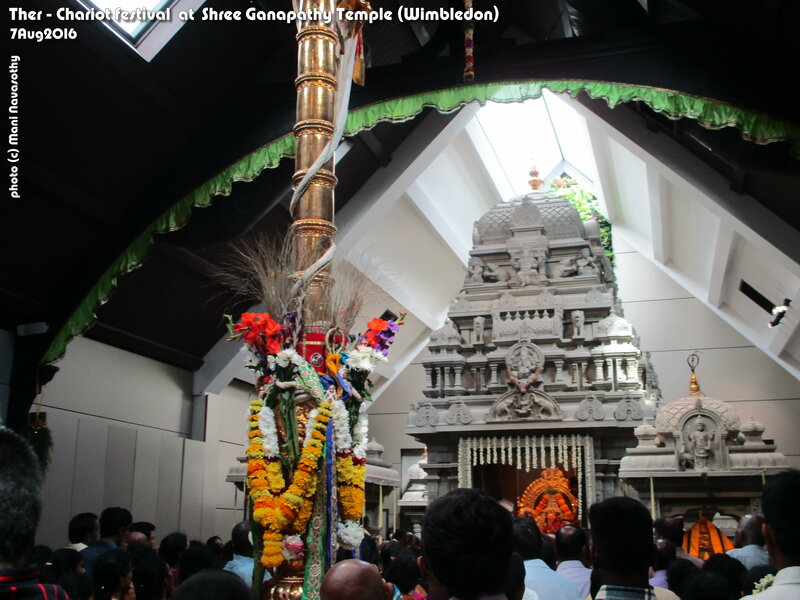 It was a sacred special temple, one that my grandmother & family had to hire a coach and drive a day to get to – as part of a pilgrimage. I remember then getting to the booked accommodation (large room, where all of us slept ..with just sheets on the floor). The part that still stays in my mind is the bathing in the nearby river in the evening. It was expected, and there were no other facilities anyway. 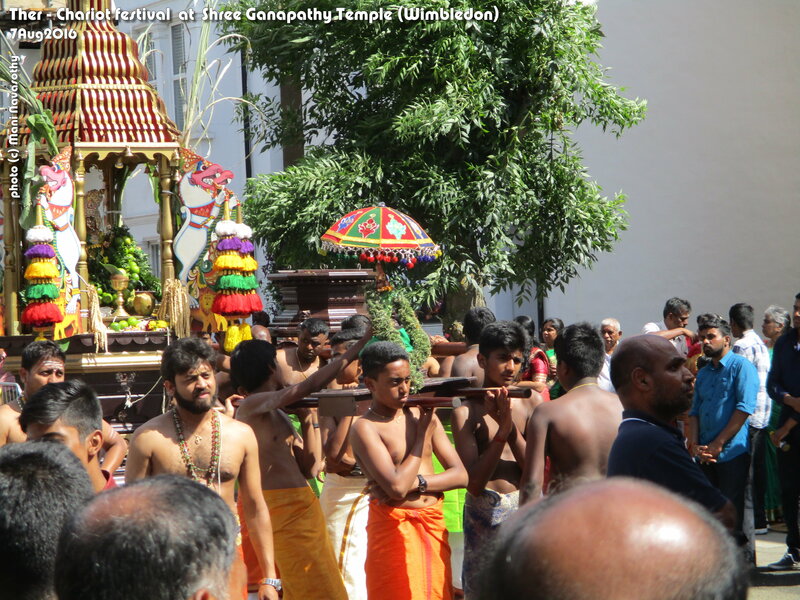 And straight afterwards, while still wet, we had to make our way up the mountain paths to the temple – for worship. 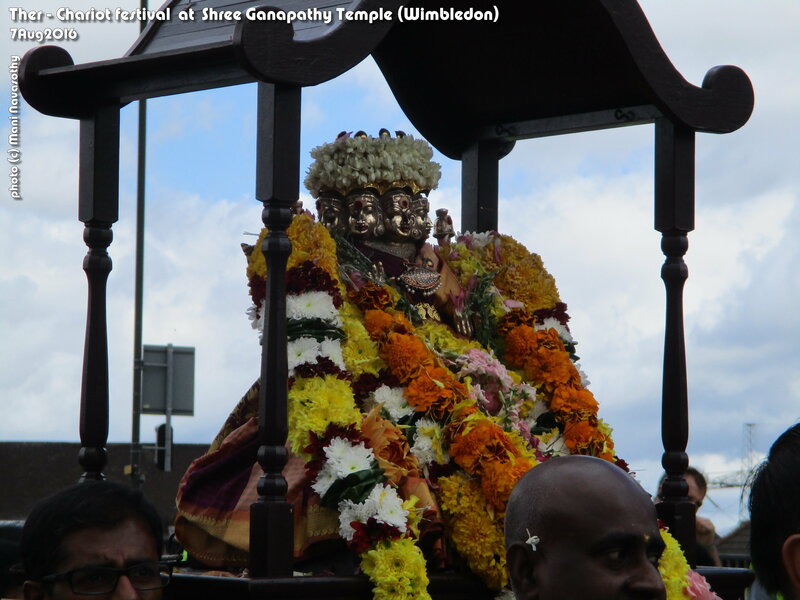 It was the temple in Kathirkama, where Priests do not speak. They have their mouths covered by a piece of cloth! 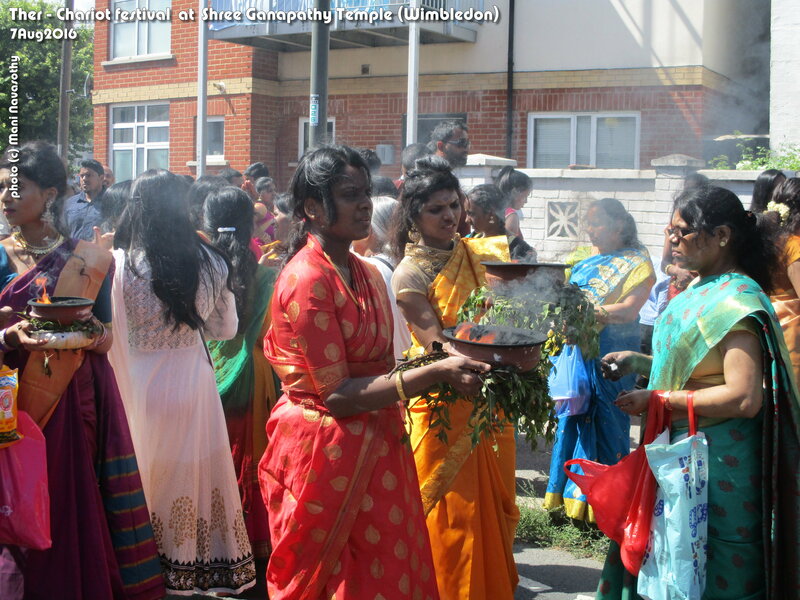 There is a similar temple in Wales, UK that I have been to, where they do this. 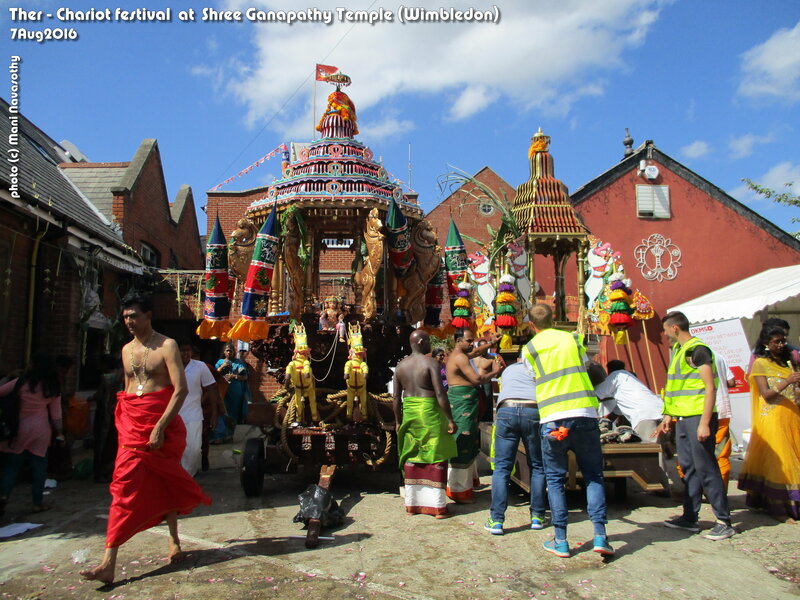 Well, after the Pooja, I was guided to the area where the temple elephant resided. As was tradition, I was `blessed by the Elephant’ (on the nudge of the Keeper, the Elephant places its trunk in a blessing manner on my head!) I was a very young boy and what came next was even more previous now to remember. My relatives told me to circle around the Elephant and pray, and also walk under it. So I did – went in from one side, walked under the Elephant, came out the other side from it’s body! I don’t think it ever occurred to me that if the beast had decided to move in haste or upset, or anything of the sort, I would have been splatted in a second! At the time, I was focused on it as a spiritual experience- and still do.